The GCMI-30 CNC masterless cam grinder represents another advance in high-grade grinding technology. The wheelhead features powerful new functions for high-precision rotation with no power loss and high peripheral speed. Other features include improved rigidity, reduced weight of moving parts and low center of gravity. 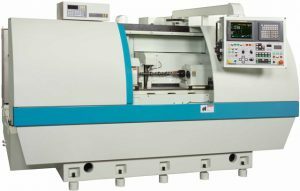 Three-axis control enables high-speed cycle grinding and oscillation cam grinding.